Lawmakers in New England and across the country are pushing for Attorney General William Barr to release the report of special counsel Robert Mueller. U.S. Rep. Seth Moulton, D-Mass., demanded Saturday that the Attorney General William Barr release the full report from special counsel Robert Mueller, who concluded his 22-month investigation into Russian interference in the 2016 presidential election on Friday. "I want every word of the Mueller report to be made public, but I also want Congress to continue doing its job, to getting to the bottom of the broad scope of things that the president and his associates have done," Moulton said. In calling for the report to be released, Moulton joins several other local Democratic lawmakers, including Senators Elizabeth Warren and Ed Markey. 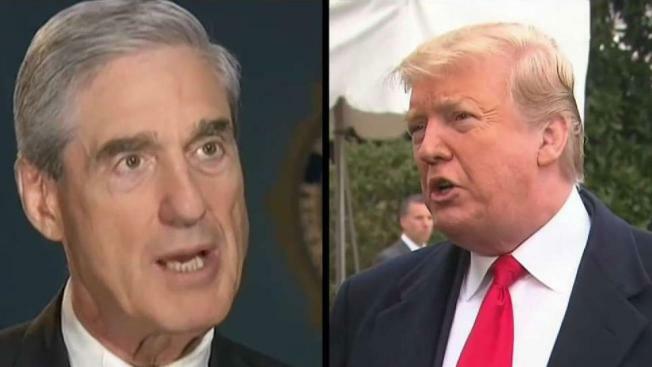 Moulton also criticized President Donald Trump for pointing out that the special counsel didn't recommend any additional indictments. "It's pretty amazing that no new indictments at the moment, for me or my family, is the new standard," said Moulton. "I mean, how low has the bar sunk?"